Rev. Lexcie Aiken, Pastor of St. Luke Baptist Church collaborated with Home Depot to donate over $500 worth of plants and shrubbery to Wells Park located on the corner of MLK Blvd and 38th St. 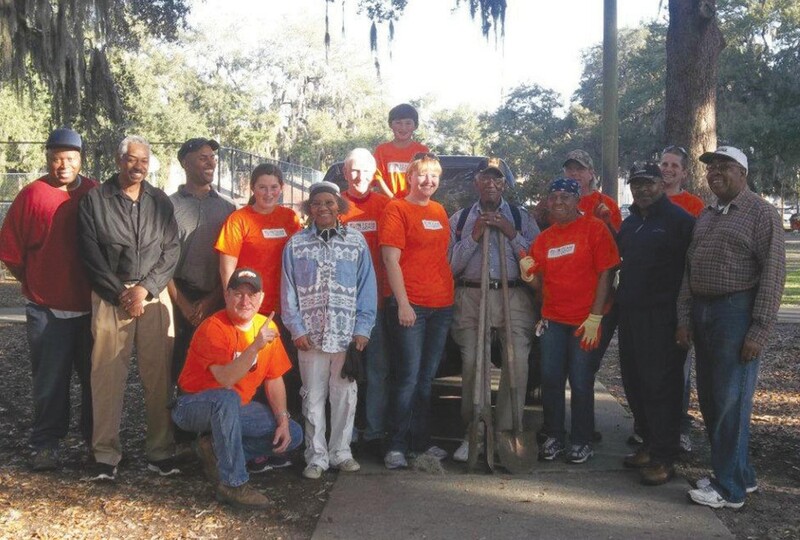 In an effort to bridge the divide between the church, the park and the community, St Luke worked with Heather Fish the Community Service Coordinator, for the City of Savannah, Doug Coleman General Manager of Home Depot and Barry Baker Director of the Parks and Service Department; to plant azaleas and other shrubbery around the sign post and basketball court in the park. Mr. Baker had his service team on hand, as well as Mr. Coleman and Team Depot. Rev Aiken and members provided the manpower for planting. Rev Aiken, Mr. Baker, and Mr Coleman all agreed that this is an effort they would like to see happen throughout the city to build sustainable relationships between businesses, the church, and community to preserve the beauty of each neighborhood.